This is a book that will take you through the whole process of writing a novel and then uploading it to Kindle. Currently, I have twelve novels in the Kindle store and can show you an efficient way to write a high-quality novel. Marketing your novel will not be covered in this book because I will focus almost exclusively on the problems that you are likely to encounter when you write a novel. For instance: Where will you find a plot? What is the best way to find names for your characters? How important is it to punctuate your book correctly? Is there a quick way to learn punctuation and sentence structure? What is the best way to write dialogue? What kind of things should one avoid in a novel? What is the significance of the first draft and why is it so important? How does one begin a book so that it immediately commands the readerâ€™s attention? How does one revise and edit a novel? Is it possible to create the cover for your book without spending any money? How does one convert a book to the correct format so that it can be uploaded to Kindle? And finally, how does one upload a book to Kindle? 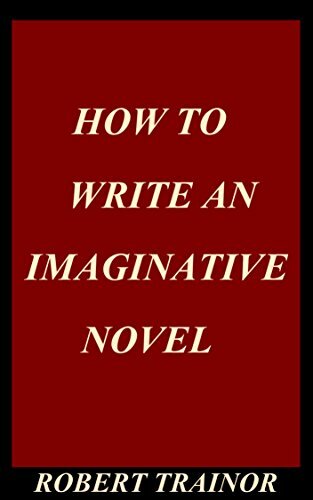 How to Write an Imaginative Novel does not skip over any details. Because my approach to writing novels is unusual and highly imaginative, this book should be interesting to those who have already written a novel. If, on the other hand, you have never written a novel, this book will take you through everything that you need to know–from the first step to the last step. Maybe youâ€™re one of those people who have always wanted to write a novel but were held back for some particular reason. Maybe itâ€™s because you canâ€™t really think of a plot, or maybe itâ€™s because you feel that it will take up too much of your time, or maybe it has something to do with the complexities of trying to become published. I feel confident that when youâ€™re done with this book, you wonâ€™t let those issues hold you back. I am, for instance, even going to give you a plot that you are free to use in any way that you choose. Basically, the key to unlocking your creative power is to let your imagination guide you. My method is based on a fairly obvious concept: Since novels are not meant to be factually accurate, one must rely on the imagination and forget about transcribing incidents that have happened in the past. Itâ€™s boring to reminisce! Itâ€™s boring to listen to; itâ€™s boring to read; and it even ends up being boring to write. So take a journey with me, and as you learn to use your imagination, youâ€™ll be able to create an excellent novel in less time than you would ever have believed to be possible.